Hot (35 ° C) acceptance of the Dance Pageant in Krakow! 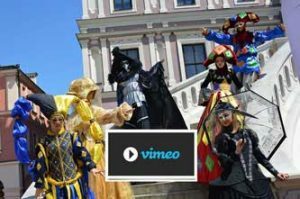 On July 5, at over 30 ° C, dressed in colorful and truly warm costumes, we began our performances at the International Street Theater Festival “31st Street” in Krakow. The spontaneous ovation and applause of watching the spectators brought solace to the hot Actors. The heat from the sky did not interfere with the creation, together with the festival audience, of a great spectacle. Krakow is Krakow! Magic place. The Dance Pageant on the 31st Street in Krakow and in Oświęcim and Tarnów. Recently – to our satisfaction – the Procession of the Dance enchanted the viewers of “La Strada”, and we have more performances ahead of us. 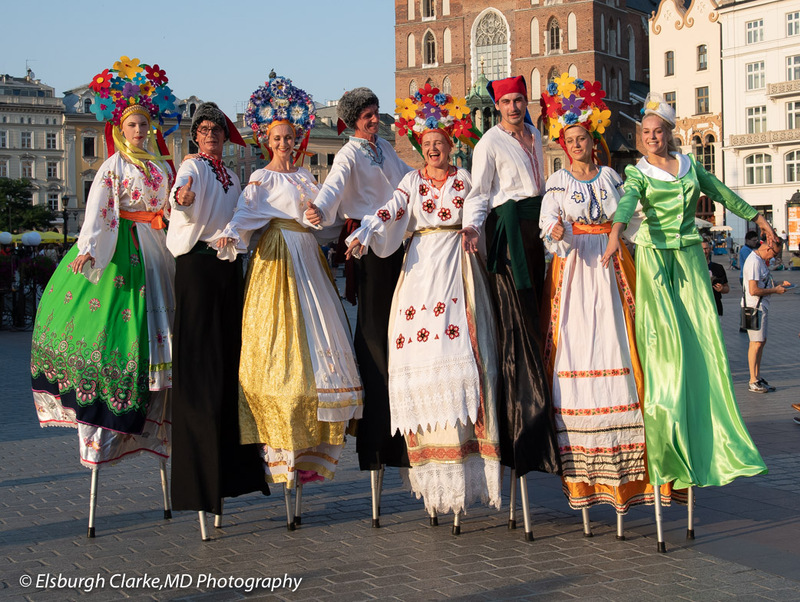 We are pleased that at the invitation of Jerzy Zon, artistic director of the International Festival of Street Theaters in Krakow, our street performance “The Procession of Dance” will be shown on the Main Market Square on July 5 at 18.00 and 8 July at 8.00 a.m. . We invite residents in Oświęcim on July 6 at 18.00, and on Saturday, 7 July at 20.00 we will play for the residents of Tarnów. The performances in smaller centers give us a lot of joy. In the near future we will play, among others in Dobre Miasto, Nowogard, Żary, Nowy Sącz, and Zgorzelec. STREET – International Festival of Street Theaters is one of the oldest events in this part of Europe dedicated to the world’s outdoor theater. Organized by the Teatr KTO since 1988, it has become recognizable in Poland and the world, with an annual audience of 60-100 thousand. people. Every year for 4 days of July Krakow turns into a great outdoor stage, and the art goes beyond theatrical buildings, galleries or museums. The festival focuses on Krakow’s squares, both residents of the city and the region, as well as many tourists from all over the world arriving in Kraków. 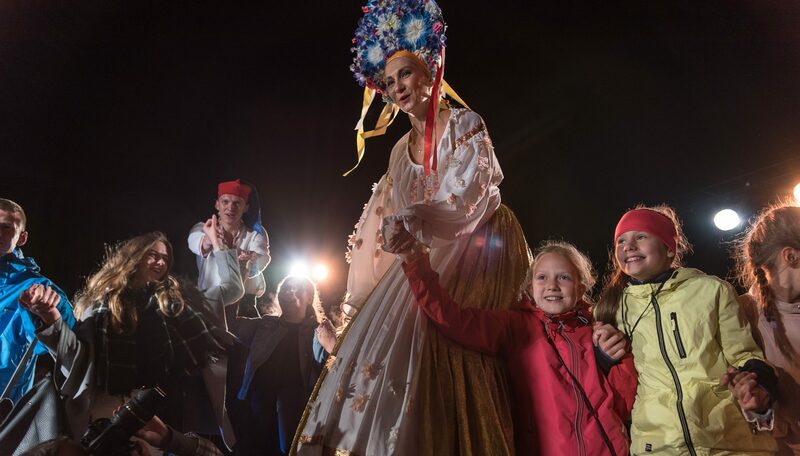 During the 4-day theater holiday, on the most beautiful outdoor scenes in Krakow (Rynek Główny, Mały Rynek, Rynek Podgórski, Jordan Park, Bednarski Park), a 100,000 audience will admire about 80 theater events. La strada 2018. 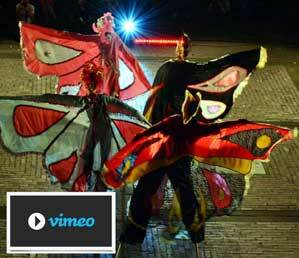 A great parade at the beginning of the 25th Festival of Artistic Street Operations in Kalisz. June 14, 2018. The jubilee 25th Festival of Artistic Street Operations in Kalisz La Strada began with a great colorful parade. Śródmiejska Street and Rynek Główny became the biggest theater stage in Poland on this day, during which we presented together with our colleagues from the Voskresinnia Theater from Lviv and several dozen artists from Kalisz a joyful procession, announcing that LA STRADA 2018 was launched. 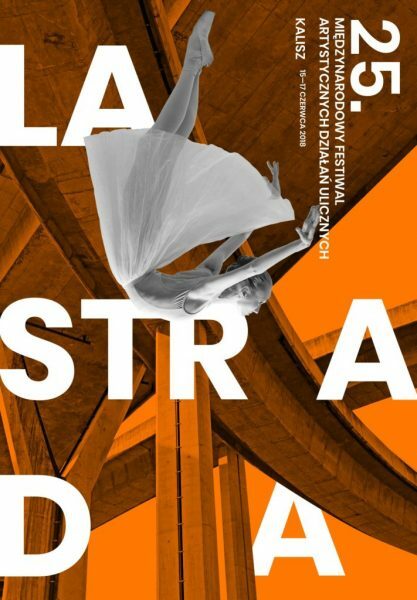 June 15, 2018 “The Dance Pageant” at the 25th International Street Art Festival LA STRADA in Kalisz! This year LA STRADA celebrates the 25th anniversary. On this occasion, the organizers invited theaters and performances to the city, which were permanently recorded in the history of the festival, determining its specificity. in 2002, we presented the play “Between the Sky and the Earth, and in 2014 the premiere” The Dance Pageant”. Thanks to the invitation of the Organizers from the Center for Culture and Arts in Kalisz, this performance will be shown this year as well. We invite you to Kalisz on June 15 at 21.30 to the square at Łazienna str 6. 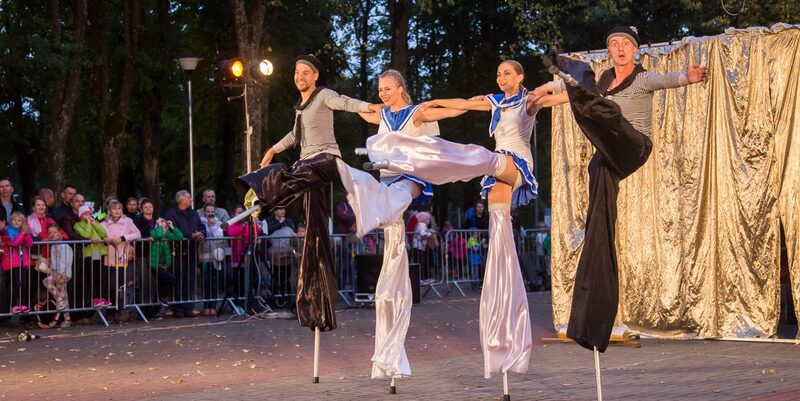 On September 16 we performed with the spectacle “The Dance Pageant ” in Salcinikai(Lithuania). A colorful festival of street theatre was organized by the Cultural Center in the City Park, which was not only the venue of our dance shows on stilts, but also the place of interesting performances and theatrical spectacles of ensembles from Poland, Lithuania and the Woskresinnia Theater from Lviv. The colorful decor of the City Park, numerous stands and attractions for the youngsters brought in crowds of residents and guests of Sołecznik. We are glad that our performance has generated many joys and smiles of the viewers. Congratulations to the Center of Culture for organizing a fantastic event dedicated to everyone regardless of age and creating a unique family atmosphere. 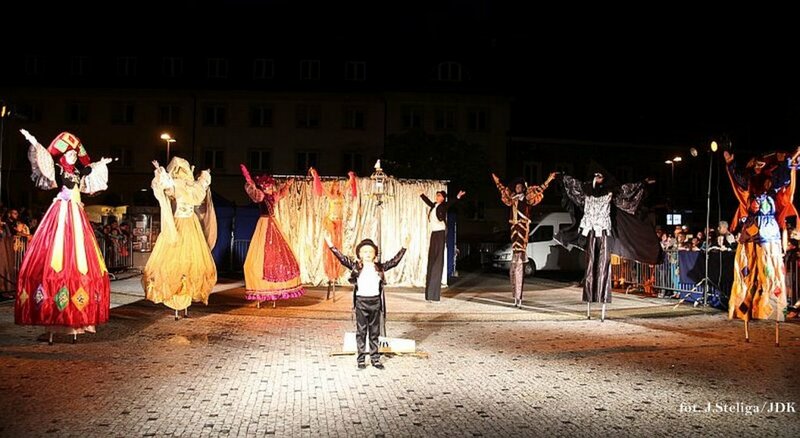 On September 5 at the InQbator Theatre Festival in Ostrołęka we presented the spectacle “The Dance Pageant”. The performance was spontaneously received by the audience. On July 28 we visited Jasło (Pl). The show closed the first day of the Partner City Fair organized on 28 – 29 July. as part of the project “The Carpathians in other climates”. “This is a great spectacle which, in the evening of 28th of July, can be seen in Jaslo thanks the Highlights Theatre from Kyiv, Ukraine ” The downpour made delay by almost half an hour, but as it turned out, it was worth the wait. The extraordinary vivacity and lightness and grace of actors dancing, great music, beautiful choreographies, comic scenes and the richness and variety of costumes made a great impression on the viewers. At the end of the stroll they invited the children to go to a joint in circles, and then willingly posed for common photos. The show closed the first day of the Partner City Fair organized on 28 – 29 July. as part of the project “The Carpathians in other climates. Cross-border tourism offer Jasło – Humenne “, co-financed by the European Regional Development Fund and from the state budget through the Carpathian Euroregion under the Cross-border Cooperation Program Inetrreg V-A Poland – Slovakia 2014 – 2020. The co-organizer of the event was Center of Culture in Jaslo (link) . It was a really unusual show. On Friday evening (9 June), the Venetian carnival was celebrated at the Grand Market Square in Zamość. And this is due to the dance performance Zamojska Arlekinada, which took place within the framework of the “Arte, cultura, musica e …” festival in the city of Zamość (Poland). 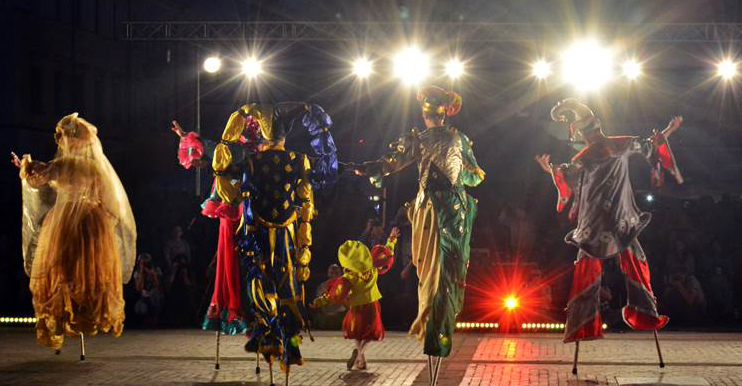 In this colorful show we presented fragments of the performance entitled “ The Dance Pageant “. The show also included the artists of the Song and Dance Ensemble “Zamojszczyzna” and the Fire Theater “Utopia” .